Since 1909 the Prosperity Grange has provided community support and event space on the Steamboat Peninsula. This March 23rd the Grange will host a fundraising event with proceeds to go to the maintenance of this valuable local resource. The feature of the night includes a chocolate demonstration from Blissful Wunders and music by the five-piece jazz band Vendredi’s Bag. Appetizers, Blissful Wunders’ chocolate truffles, wine, and non-alcoholic beverages will be served. 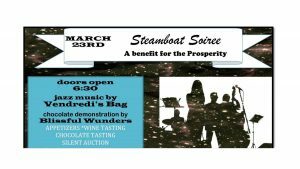 A silent auction will be held and all donations to Prosperity Grange are welcome. 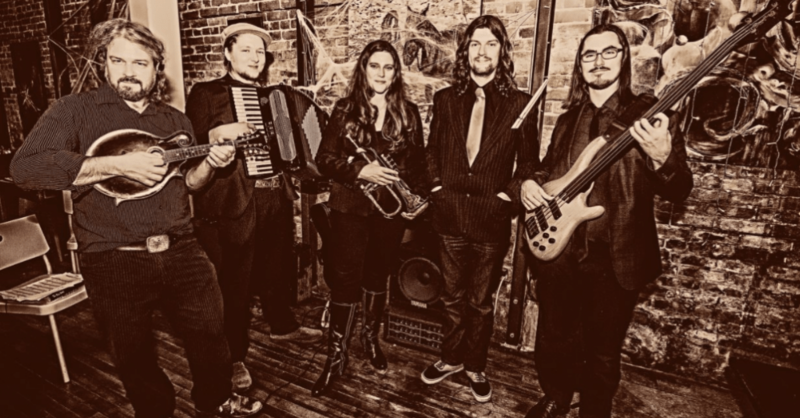 Vendredi’s Bag takes the stage at 7:00. The chocolate demonstration by Blissful Wunders is at 7:30. The silent auction will close at 9:00. Prosperity Grange is located at 3701 Steamboat Loop NW, Olympia, WA 98502. The folks of Prosperity Grange have planned a terrific event. We hope you can join us in supporting the 110-years-young Prosperity Grange this March 23rd! Also, mark your calendar for April 6, when Prosperity Grange will host a flea market. Are you planning a public or private event? Let Prosperity Grange provide you with the perfect venue. Rental of the Grange is open to anyone in the community. The Grange features a stage and full kitchen. For more information, contact them at (360) 970-5652. PLEASE PASS THE WORD TO OTHER ALUMS! 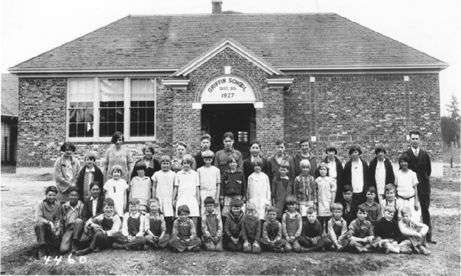 For the rest of you, interested in learning a little more about the history of the Griffin School – the 1927 building was demolished after the new building was opened, in 1969 – click here to read an article published on the GriffinNeighbors blog. 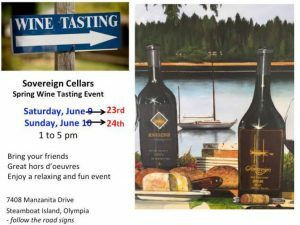 Due to inclement weather forecast for next weekend our Spring Wine Tasting Event is postponed to Saturday and Sunday June 23rd + 24th. We do hope summer will arrived by then! 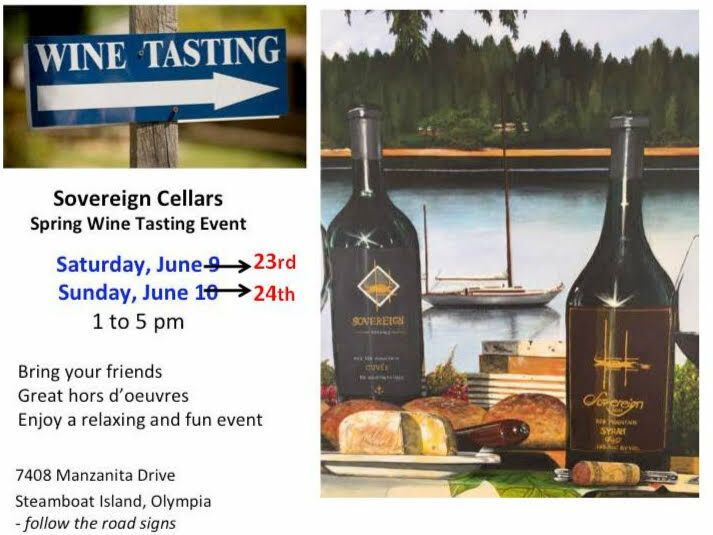 Kathy and I would like to invite you to join us from 1 to 5 pm, for our Spring Wine Tasting Event. Enjoy a great time with hors d'oeuvres and five outstanding, award-winning wines. Please bring your friends and enjoy. We hope to see you! Every year, around this time, all those yellow flags – those scotch broom flowers – come out to wave. Next will come the seeds and, next year, more scotch broom. There are noxious weeds and then there’s scotch broom. Now is an excellent time of year to get serious about reducing the amount of scotch broom on your property. So, responsible rural property owners want to know: What makes scotch broom so bad? Scotch broom is a prodigious seed producer. The seeds have hard coats enabling them to survive in the environment for up to 80 years. Once established, scotch broom forms dense brush fields over six feet tall. The brush fields diminish habitat for grazing animals, such as livestock and native animals. Areas of dense brush shade out and kill native grassland plants in invaded areas, and favor invasion by other woody, non-grassland plant species. Scotch broom prevents reforestation, creates a high fire hazard, renders rangeland worthless and greatly increases the cost of maintenance of roads, ditches, power and telephone lines. Wildlife suffers as the growth becomes too dense for even quail and other ground birds to thrive. Being slightly toxic and unpalatable it is browsed very little by livestock. If you cut your trees, so that a lot of sunlight reaches the ground, you’ve probably now got scotch broom to cut. How do you eradicate scotch broom? There are two schools of thought, those who say pull out the whole plant and those who will tell you, if you’re clever and your timing is right, all you need are a pair of lopping shears. Pull out the entire plant, including roots. When the soil is moist, small plants can be pulled easily by hand. Winter and spring are good seasons to do this. Larger plants must be removed with a tool such as a Weed Wrench. Be sure to remove the entire plant. Broken stems re-sprout and are much harder to remove for the next person. Plants can be left where pulled. One of the benefits of being a member of the Griffin Neighborhood Association is members can rent our Weed Wrench. Not yet a member of the GNA? Dang, what are you waiting for?! Click here to join online. First, cut broom in bloom. Use loppers or small saws and cut broom right at ground level. Broom puts all of its energy into making flowers. If you cut it while in bloom, it will most likely die in the summer’s dry heat. If you have to make a choice, go after single plants and small infestation to prevent its spread. If the broom is huge, cut off as many of the branches as you can. If the broom is small and not blooming, you can return and cut it next year when it blooms. It is most important to not let the broom go to seed! Cut before June 17 (this date is from Vancouver Island’s “BroomBusters” web site, so it’s probably earlier, down here in the South Sound). CUT DOWN ALL YELLOW FLOWERS so that they can not turn into seeds. 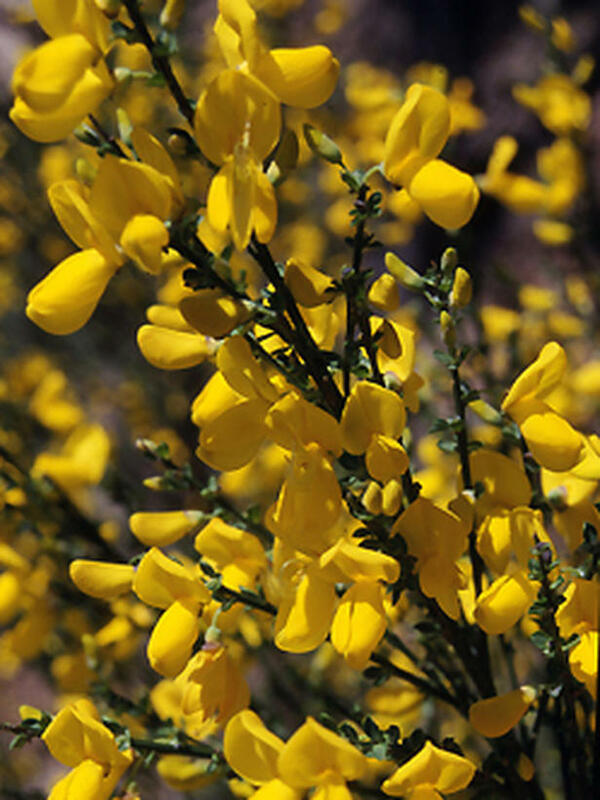 Each scotch broom plant can produce 2,000 to 3,500 seed pods – which burst open, shooting seeds into adjacent soil. If you cut them while in bloom – no seeds! HERBICIDES applied in the spring when new leaves are present are another effective control tool, but always remember to read the labels carefully and exercise extreme care when applying chemicals, especially near waterways. DO NOT BURN SCOTCH BROOM! When exposed to fire, its seeds burst from their seedpods. Also, the smoke from burning scotch broom is actually toxic and may seriously irritate the respiratory tracts of you, your family, or your neighbors. TAKE SCOTCH BROOM TO THE DUMP. The best way to get rid of scotch broom, once it is cut, is to take it to Thurston County Waste and Recovery Center. Scotch broom cannot be disposed of as garden waste – you need to dispose of it as garbage – and it’s not eligible for free disposal. This stuff is the worst. The Thurston County Noxious Weed Control Agency offers the following information and services to the public: Educational presentations, plant identification especially those that may be noxious weeds, consults on your property, prescriptions for specific noxious weed problems and what the county approves for its own use, free disposal of designated noxious weeds at the Thurston County Waste and Recovery centers, and limited use of a manual removal tool called the wrench. Also available are many informational brochures and pamphlets as well as several videos. So, responsible homeowner, get out there and cut your scotch broom! At the Fall Town Hall Meeting presented by the Griffin Neighborhood Association, the theme was public safety. Invited speakers included Sheriff John Snaza. Thurston County Prosecuting Attorney, Jon Tunheim, also attended. The standing-room only crowd had many questions regarding neighborhood crime. Worries and concerns regarding mail theft, property theft, prowlers, drug activity, and personal safety were brought up. A common theme expressed was a sense of vulnerability, isolation, and powerlessness to crime, be it real or perceived. The topic of our next Town Hall dovetails well with the concerns expressed last Fall. In conjunction with Providence Health & Services, the GNA will hold our Spring Town Hall at Griffin Elementary School on March 27, 6:30 – 7:30. We have invited Dr. Joyce Gilbert. 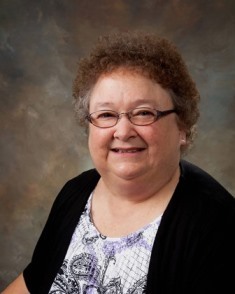 With 30+ years as a pediatrician and multiple roles, Dr. Gilbert is fascinated with the science of trauma, and how stressors in early life become potentially toxic and life threatening to adults. Dr. Gilbert will be explaining the difference between stress, toxic stress, trauma and how we process each. A sense of safety versus threat can trigger chemical changes in the brain that impact our ability to be resilient. Resilience is our internal ability to adapt to big or small stressors. Our Steamboat community will learn about the biochemistry of stress, trauma, and the long term effects, if not interrupted. Dr. Gilbert will discuss how we can affect change, particularly when we have no control over these traumas. Skills and strategies for grounding, calming and staying present are critical and basic maneuvers we can all implement, benefiting both in the moment and over a lifespan. The research is clear: both the quality and quantity of your life is directly related to what you do or do not do, with stress. Dr. Gilbert set a personal goal: Teach all of our elementary school educators about trauma within this school year, almost 40 schools total. At this Town Hall meeting, we will learn just how important it is to take care of ourselves in our daily lives, and feel safe. We hope to see all our community members there. Dr. Nadine Burke Harris, a video of a TedTalk presentation entitled, “How childhood trauma affects health throughout a lifetime.” And Dr. Harris’ book, The Deepest Well: Healing the Long-Term Effects of Childhood Adversity. The Adverse Childhood Experiences Study — the largest, most important public health study you never heard of — began in an obesity clinic. Decades ago when I was a student at Saint Martin’s College I would go into the woods a wonder for days and commune with nature on the Olympic Peninsula. For free. Sometime I would park my 1973 Dodge Dart at a private residence, pay them a dollar a day, and be off to the wilderness. Then a small fee was instituted for the back country, park fees increased and finally a State Pass was instituted. At first I was furious that welfare dwellers could go to lakes all day on a free pass while I went to work. It just struck me as wrong. The State was making me pay while other people got a free ride. Eventually I decided to give in and to gain access to lakes and parks again. A few years ago, I put out the cash and got an annual Discover Pass. It was really OK. 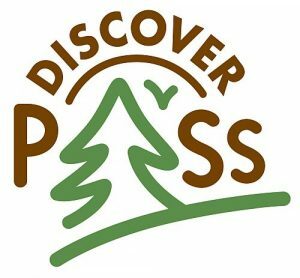 If you want access to 3 million acres of state owned property, purchase your Discover Pass at discoverpass.wa.gov or call them at (866) 320-9933. Discover Passes can also be purchased in person from any of nearly 600 recreational license vendors where state fishing and hunting licenses are sold. You will not regret it. Mr. Nugent's books include Fifty-Two Vacations A Year. "Most of us work Monday thru Friday and then try to have a little fun during the weekend. Some of us live for the weekend. If we have chosen a life of wage slavery, then there is nothing left for us to do except to maximize our enjoyment of our freedom during those precious two days a week." Most weekday mornings traffic begins to stack up where southbound US-101 merges from two lanes, to one, under WA-8. Drivers line up in the left hand lane and sometimes traffic slows almost all the way back to the onramp at Steamboat Island Road. As traffic slows, drivers entering US-101 at Steamboat Island Road scramble to join the line forming in the left lane. It sometimes creates a dangerous situation. And those drivers who cannot move left, or choose to remain in the right lane, feel like they are cheating, cutting into the line closer to the actual point the two lanes merge into one. Transportation engineers call it a “zipper merge.” It is not taught in driver’s education. And the Washington Department of Transportation doesn’t normally provide the correct signage instructing drivers how it’s supposed to work. And it turns out we’ve been doing it wrong, all along. At normal highway speeds, when traffic is moving smoothly through the WA-8 underpass, it’s correct for drivers to move to the left lane early, when the sign indicates there is a merge ahead. Then, actually at the point the right lane merges into the right, drivers should file through the underpass one at a time. First a car from the left lane, then a car from the right, then the left, and so forth. Cars from each lane file together, at the merge point, just like the teeth of a zipper. Or perhaps a single sign, like the one pictured at the bottom of this article, would suffice to notify drivers that, when there is congestion, they should use both lanes and then take turns at the merge. When both lanes are used correctly, a zipper merge could reduce by 50% the length of the backup along US-101. At the height of out little morning rush hour, drivers using the Steamboat Island Road onramp would easily be able to get into either the right or left lane. And everyone would get under WA-8 and on their way, just as quickly as before. In countries such as Germany, the zipper merge is taught to drivers and it’s normal. But here in the U.S., we prefer to queue up as soon as we see there’s a merge ahead. Especially as traffic begins to move more slowly. On US-101 we think of the drivers that remain in the right lane as “cheaters” who are “cutting in line” by not moving to the left. But it turns out, we’ve been wrong. It’s not rude to use both lanes; that’s the way a zipper merge is supposed to work, when traffic congestion is higher. But what would it take to develop a critical mass of local drivers, who use this route most days, to begin to change how we use both lanes along US-101? Talk to your neighbors who regularly travel this route. Share this article. The Washington Department of Transportation usually only signs for a zipper merge in construction zones. They’ve done it, up in Seattle. But we can create a safer situation right here, if our own zipper merge were correctly signed. 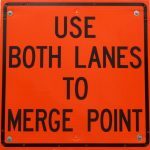 Contact WSDOT to ask for the “Use both lanes to merge point’ and “Take turns merge here” signs to be installed along US-101. 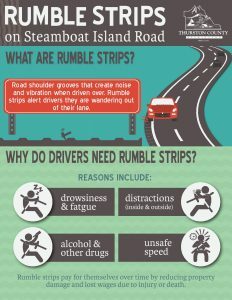 The WSDOT representative is Angel Hubbard at (360) 705-7281. Update (1/11/2017): Washington DOT replied to an email sent to them, about this issue. 1. Our literature search and past WSDOT experience show that encouraging drivers to zipper merge can be beneficial in slow-moving traffic conditions, and is most often employed in temporary construction situations. This location is a high-speed corridor (60 mph) that experiences congestion for only about 30 minutes a day, during the a.m. commute. 2. At the US 101 merge onto SR 8, a tight single-lane curve immediately follows after the two US 101 lanes drop to one. The tight merge operates at full capacity during the morning rush, and traffic engineers did not believe a zipper merge would notably increase through-put or travel times. This was confirmed with visual field verifications, and from traffic modeling. It’s clear the zipper merge is useful when there’s congestion, and not at normal highway speed. That does present a challenge to clearly signing the road. However, we don’t expect use of both lanes, as a zipper merge, to decrease travel times. 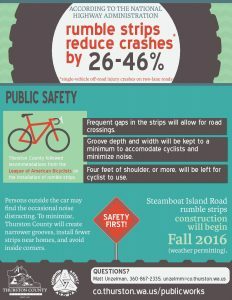 Instead, we want to reduce the numbers of unsafe merges into the left lane, when congestion causes traffic to back up in that lane nearly to Steamboat Island Road. Also, we have seen instances when cars drive down the middle of US-101, straddling the center line, specifically to prevent others from using the right lane. What steps can be taken to legitimize use of the right lane, when there is congestion at this merge? Update (1/20/2017): The only available solution may be an educational campaign. A dialog with Representative MacEwen’s office and WSDOT representatives has disclosed how complicated merely signing this location may actually be. Apparently, except for use in a construction zone, standards for signing a zipper merge don’t exist along US highways. The Washington State Patrol, too, has expressed concerns they wouldn’t be able to accurately assign fault to accidents occurring where it wasn’t clear, at the merge point, which lane was ending. In the short term, we may be left with the only remedy being an educational campaign. But are there enough drivers coming from the Steamboat Peninsula to have an impact on the behavior of drivers coming from further up US-101? Time will tell. Come join your neighbors this Saturday, December 17, at the Prosperity Grange for what’s rapidly becoming a cherished annual event: Old-Fashioned Christmas Caroling. Hosted by Restoration Hope. Complementary hot chocolate, cider, coffee, chili, and Christmas cookies will be available. Photos with Santa and his sleigh! This is a free event, but any donations will go to Griffin School’s ‘Friendship Fund’ to help kids in need, and to St. Christopher’s Community Church for them to distribute to Steamboat families in need and to their Helping Hands Community Garden. 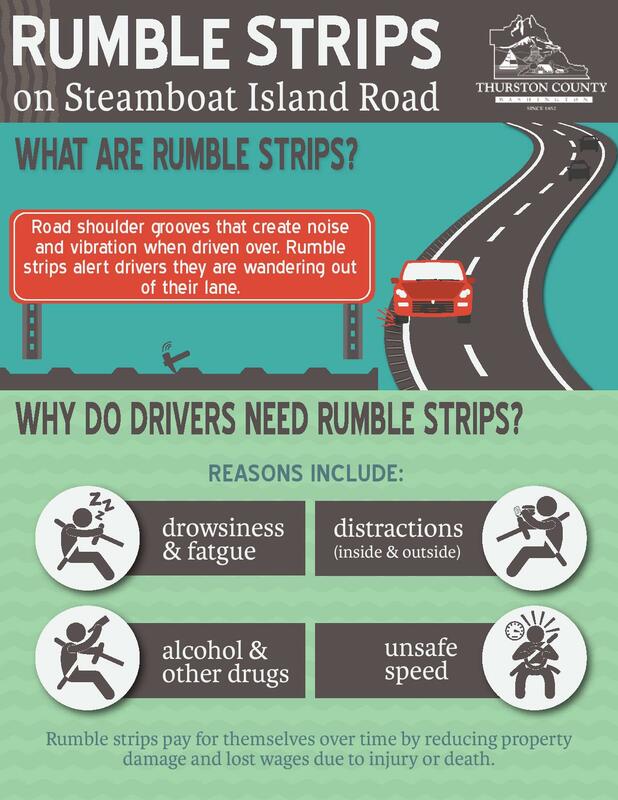 This fall, Thurston County Public Works will be installing shoulder rumble strips, weather permitting, along portions of Steamboat Island Road. "While we work to make your community safer," a recent announcement reads, "construction activity and minor delays will occur." Postcards have been mailed to residents near where this work will take place. If you have any questions, contact Brandon Hicks at (360) 867-2358 or click this link to visit the web site of Thurston County Public Works. Click the images below, to see larger versions of them. Beach at Schmidt Conservation Easement. Join us on Saturday, July 16, for a bike ride around the Steamboat Peninsula. The ride will start at the Wynne Tree Farm, a 530-acre working tree farm at the base of the Steamboat Peninsula. If you haven’t seen this property, you’re in for a real treat. It’s located up Whittaker Road NW, which is what Steamboat Island Road turns in to, south of the US-101 overpass. Schneider Creek flows through the parcel, then alongside US-101, and on to Oyster Bay. Riders will travel along Whittaker Road, and will be able to see the beautiful, and vast, forest and fresh water areas that comprise the Wynne Tree Farm, and that are permanently conserved by Capitol Land Trust and the Wynne family. The short ride travels up the Peninsula and will stop at Frye Cove Park. Riders can take a short (approximately 1/3 mile) walk to the beach, and will enjoy the scenery while having a snack at the picnic tables. 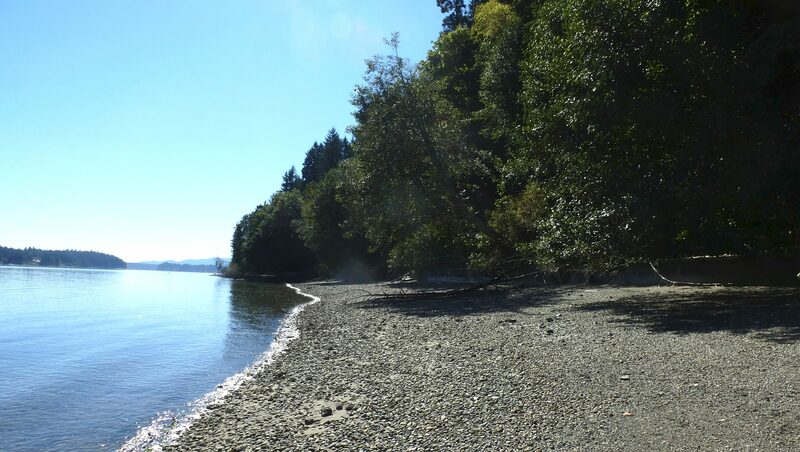 Riders will learn about conservation on the Steamboat Peninsula, especially about a hopeful addition to CLT’s conserved areas which is next to Frye Cove and is home to a half mile of Frye Cove Creek, the stream that drains to Frye Cove and that contains important salmon spawning habitat. After this stop, riders will ride back to the Wynne Tree Farm. The long ride travels up the Peninsula, and will take a short stop at the entrance to Frye Cove, but will then continue to ride to the Schmidt Conservation Easement towards the tip of the Peninsula. Riders can then stop and will learn about this beautiful 35-acre property along with a walk (approximately 1/3 mile) to the beach. Also enjoy a snack and learn about conservation on the Steamboat Peninsula. As an optional addition, riders can choose to continue their ride out to Steamboat Island, approximately 5 miles more to the overall ride. Or riders will ride back to the Wynne Tree Farm. This is a free event. However, registration is required, so event organizers can prepare to host the event. When you register, you’ll be asked for your email address. You will receive event directions and other event details to this email address. To register, click here to visit the Capitol Land Trust’s web page. Scroll down to the bottom and fill out their form. Click here to read a reprint of an article about Tom and Charlene Wynne’s rescue of Schneider Creek. This article was published in the January 1998 issue of the Griffin Neighborhood Association’s “Neighbors” newsletter.